Just in case anyone hasn’t looked outside over the weekend, it’s been a glorious one. Whilst there hasn’t been a huge amount of racing going on, Strava tells us that Harriers have been out Vitamin-D gathering all over the place, no doubt in preparation for a big Spring/Summer of racing. 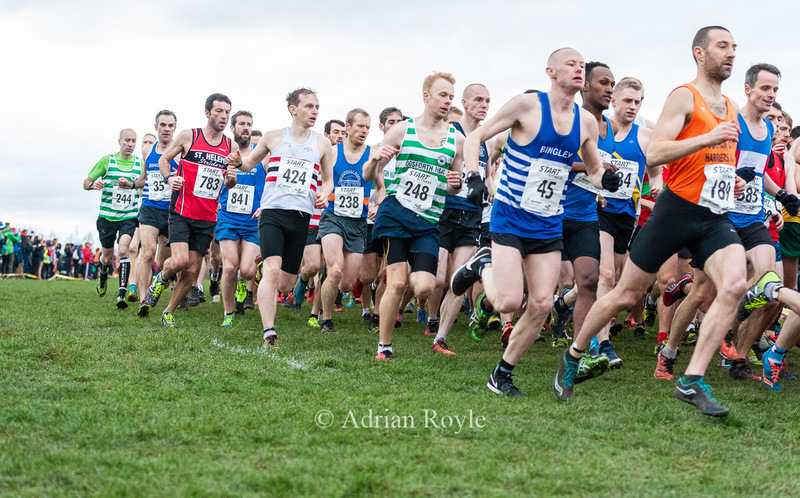 Talking of racing, some great club-champs races coming up over the next few weeks, with Trafford 10km on 10th March (now sold-out) and Wolf’s Pit for the fell runners a week later (entry on day). Get prepping for a short, sharp loop on the moor above Bradwell to bag some early champs points. Last Thursday saw a gaggle of Harriers at the leisure centre, eager to see how their training was going at the GDH 10km time-trial. It was so alluring even hardened fell-veteran Mark Davenport hung up his mudclaws for the evening and decided to hit the tarmac. Jeroen Peters was claiming a previous 39-minute PB (the decade it was set remains unclear). 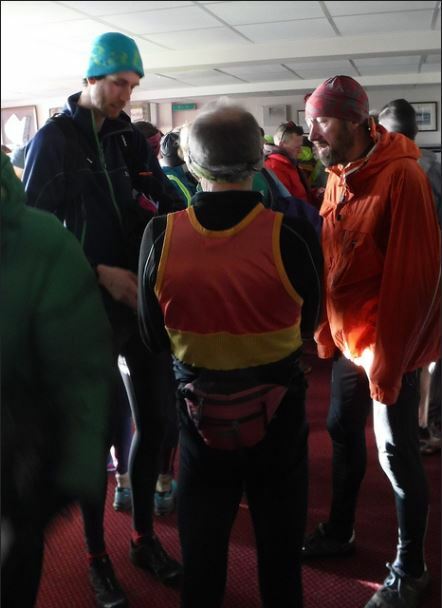 Welcome back to Paul Skuse who has been absent for a while but looked ready to eat up 10km. Predicted times were bandied around but director Steve Page slotted everyone into place and set us off. I can only account for my experience but a particular highlight was an orange-clad William Mather lurking at the end of Tavern Road as official race-photographer. Paul Skuse summed it up on Facebook: “Nice seeing you but those are the worst photos I’ve seen”. It’s true, he may as well have tried to have drawn us. Then, the hill. Those few kms from Woolley Bridge island to the top of North Road. It generally seems to be the main theme of conversation at the end. But we’re Glossopdale Harriers, come on, flex those muscles, hills are our speciality! After a few tears near the top, I made my way back to the leisure centre and most people seemed to arrive at a similar time. Great running all – everyone was far too pessimistic with their predictions, check out the fantastic results below! “Myself and Alex Critcher did the Huddersfield 10k this morning! 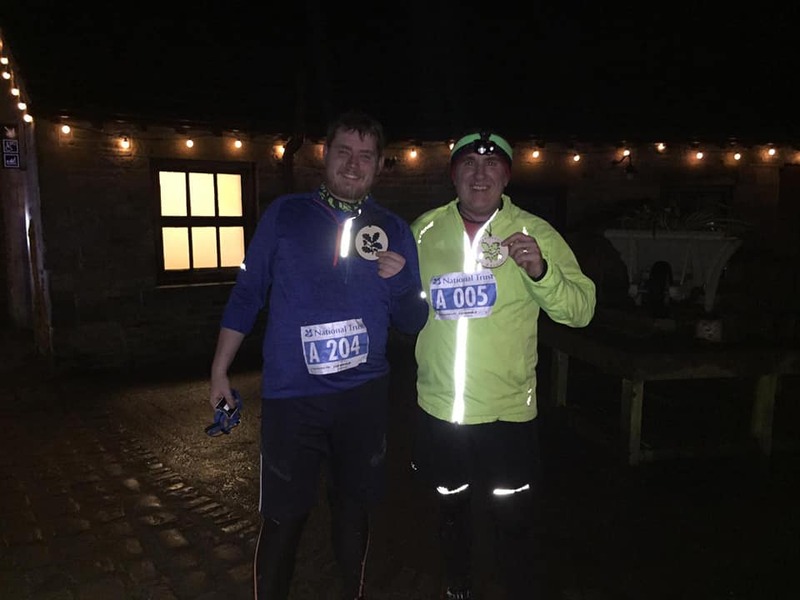 A brilliant tough hilly road race, definitely recommend it! Glorious weather and nice cool crisp conditions for the 9.30am start. 24? Does that mean 24-hours? 24-miles? 24-sausage rolls? After a bit of research, I found out it’s pure hard-earned miles. The race starts in Greenfield, up to Chew, down to Torside and along the reservoirs, popping up Wild Bank and back to Greenfield with a whole host of stuff in-between. Roving reporter Lucy Wasinski was there and helped me with a few details. Luke Holme, Pete Wallroth, Nick Ham and Steven Pepper were flying the GDH flag and rumours of flouting kit check rules are rife, but they all managed to get through. Pete set off at a sprint and was in 2nd place for at least 10 seconds. Luke had claimed he just wanted a nice day out, but race fever took over and he soon flew off into the distance with Steven. Official results don’t appear to be out yet but I hear Steven and Luke came joint 7th in 4:51. Nick Ham recalls how it was “Scorchio” and that he was wearing “very little towards the end”. But hey, we’ve all been in those types of races. Unfortunately Pete retired at checkpoint 3 (which is suspiciouly close to home). Steven giving helpful navigation advice to Luke. Nick with more clothes on than towards the end. I had to use Google to find out where Ilkley is, but Mary Jeal clearly already knew as she was racing there on Sunday. The Ilkley Harriers claim it’s a toughie with steep, slippery and rocky descents. Mary set off in this typical February weather and came in 197th in 103:55. Getting a fantastic 3rd FV50 in the process! Plenty of Harriers at Glossop parkrun this week with Caitlin Rice first lady (second overall) and Craig Leith coming in third. Clive Hope bagged a new PB with a 71.34% age-grade – great running! William Mather took to the track at Stretford and ran an all-time PB of 19:27 – rumours are that he only did it so that he could beat his sister. Time to get some track spikes in surely? Don’t forget all subs are due this Thursday 28th February. Miss the date and you’re banished from the club forever. Probably. After the roaring success of the time trial, Paul Skuse has volunteered to run another one this week. Get yourself down to the leisure centre on Thursday for 7pm to give it a go! Jeroen will have a lung-bursting session planned to get us all race-ready on Tuesday. Remember, get your race reports in to gdhweeklyreports@gmail.com to make sure you’re included! This entry was posted in Uncategorized on February 25, 2019 by danielstinton.